Our Mission: To serve and protect local families and businesses by providing superior roofing, gutter and exterior maintenance services. Our Commitment: We are committed to providing the very best in service, quality and craftsmanship while maintaining an up-front and honest attitude with you. Know what you’re getting and get the best with Renaissance Roofing, Inc.
Did you know less than 3% of roofing contractors in the United States are eligible for the Master Elite® title? It acknowledges the roofing industry’s leaders in quality and knowledge. 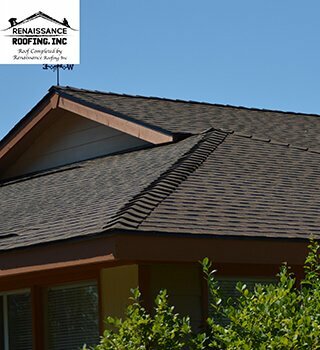 Renaissance Roofing, Inc is proud to be among this group of elite roofers and looks forward to providing superior workmanship and warranty coverage for your new roof installation. We are also an authorized installer of IB Roof Systems, a premium line of high-performance, durable PVC roofing membranes. We’re a roofer that offers the friendly service of a mom-and-pop business with the experience of 25 years in the roofing industry! Call Renaissance Roofing, Inc if you notice any damage to shingles, or have constant leaking, peeling or another type of roofing issue. 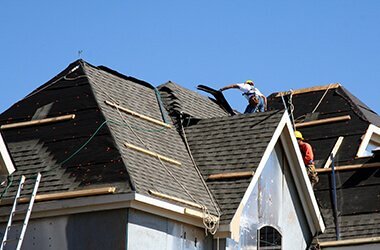 We will get your roof repaired quickly and professionally. We can also handle seasonal maintenance of your roof to help it look better and last longer. Avoid the risks of getting up on a ladder and let Renaissance Roofing, Inc take care of your moss problem. Moss removal makes your roof last longer. We can keep it off and controlled by using a roof-safe moss removal product. Skylights are a wonderful addition to any home – except when they get dirty. Leave it to Renaissance Roofing, Inc to get them clean again. Are your gutters clogged or in need of repair or replacement? Don’t let your home suffer water damage caused by malfunctioning gutters. 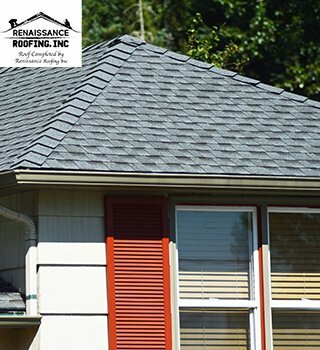 Renaissance Roofing, Inc offers gutter services to make sure your home is protected. Power washing is a quick way to restore your home’s appearance. However, it is easy to damage shingles, gutters and windows with improper washing. Leave your home or business in the hands of our experts! 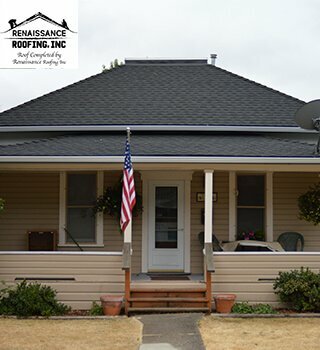 Protect your business or home by choosing the GAF Master Elite Certified roofing contractors at Renaissance Roofing, Inc for your next roofing project or exterior service. 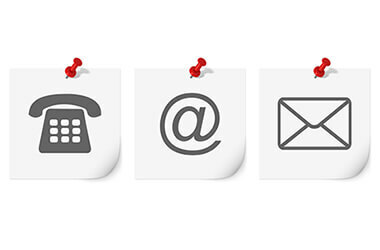 Contact us online or call one of our offices to speak directly with one of our experts. We’ll be able to answer any question on your mind! In Albany, call (541) 791-4886 or in Corvallis, call (541) 754-5220. 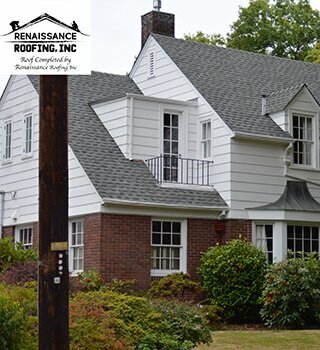 As a GAF Master Elite ® Certified Contractor, Renaissance Roofing can be counted on to deliver a top-quality roofing system that provides many years of protection. 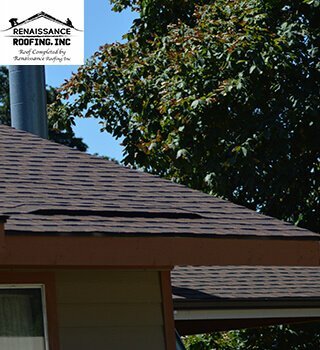 A roof inspection by Renaissance Roofing includes a comprehensive check of your roofing system, and a plan for repairs if necessary. 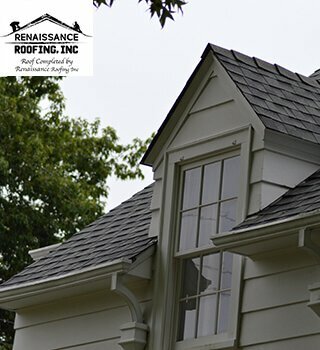 With 25 years of experience in the roofing industry, Renaissance Roofing is your reliable, professional choice to build a roof on new construction. 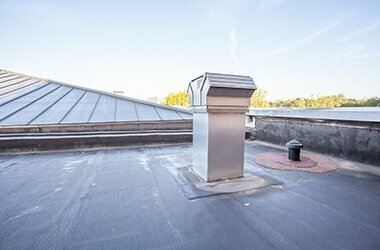 Renaissance Roofing offers high-quality commercial roof replacement and repair services for offices, apartments, retail establishments and more. 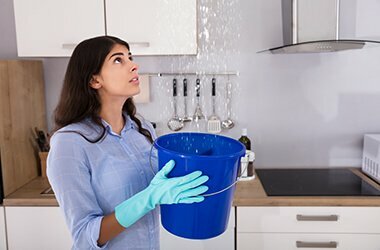 By repairing leaks and performing routine maintenance, Renaissance Roofing can protect your home from severe water damage and possible structural damage. Submit our online form or call our office in Albany at (541) 791-4886 or in Corvallis at (541) 754-5220. We are locally owned and family operated. Born and raised in the Willamette Valley so we understand the special home improvement needs of the homeowners in our area. Financing available: 6 months same as cash, 5 year term and 10 year term available, as low as 4.99% on approved credit. great job; reroofing our 24x36 garage and replacing a couple of skylights. Excellent work, done quickly. we'll be recommending and calling again some time. My wife and I would like to express our sincere appreciation for the wonderful roofing job you did for us. We had contacted several local roofing companies for estimates when it came time to repair our leaking roof. Greg was knowledgeable, patient. He took the time to answer all our questions and gave us enough information to help us make our decision. He responded quickly to our calls and even sent a crew out to tarp the problem areas of our roof. Most importantly, he provided us a full and complete bid package so we knew what we were getting. The Renaissance Roofing team was professional and polite. They did an exceptional job with all aspects of the roof repair, and we were quite impressed with the immaculate clean up job after. It was a pleasure to work with such a capable, professional team. 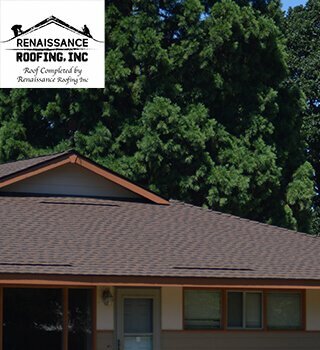 We are confident and happy to recommend Renaissance Roofing’s services to anyone who asks. Again, thanks to you and your team. Renaissance replaced the roof on our home. 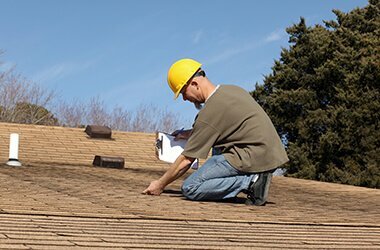 An acquaintance recommended them because they had done a good job for him on three roofs. 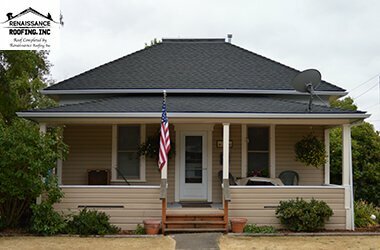 They beat the competition on price, their roofing team is experienced (and legal), and they use reputable GAF shingles. They started on time and worked to completion in 3 1⁄2 days. The team members were always cordial and helpful, they cleaned up after themselves every day before leaving, and the roof looks great. Two specific incidents might be worth mentioning. The first has to do with our TV service. We get our TV signal from a rooftop satellite. We wanted to minimize the time that TV service was unavailable, so Renaissance timed its work on that part of the roof to immediately precede the TV technician’s arrival. TV service was only interrupted for about an hour. The second is about some damage to a window frame. We noticed it after the roofing work was completed, and suspected that it might have happened accidentally during the project. We mentioned it to Greg Evans (the owner of Renaissance) and he had it repaired at no charge to us. We have no doubt that Greg will honor the Renaissance warranty if there is any problem with the roof. Greg was always honest and straightforward with us. He has built a fine company, and we wish him well. "All I can say is Wow. From the estimate to the finish the workers were polite, efficient, and the finished job was excellent. Everyday before they left my yard was cleaned up spotless. I would recommend them to anyone wanting a quality job." "Easy and clear bidding process, on time completion of job and it looks spectacular. Recommend wholeheartedly." 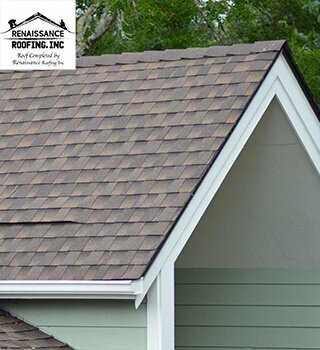 "I have just had a new roof installed by Renaissance Roofing on my triple-wide manufactured home. It was an awesome experience for me by a crew that was totally competent and reliable. Everything was explained clearly ahead of time and the whole process went smoothly. The planning on their part was obvious in that there was no waiting for materials. The crew was one of the hardest-working I have ever seen. My old roof was torn off and replaced with quality materials in two days. And the best part is that they cleaned up all around my house when they were finished. 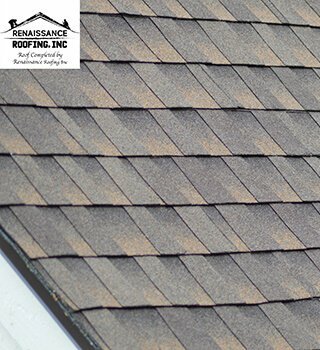 I highly recommend Renaissance Roofing if you are looking to replace your roof." "Thank you Renaissance! Our roof was recently completed and we are very happy with the result. Although we had quite a few extra requests the crew was courteous, polite and very easy to work with. Our neighbors even commented on how happy the crew seemed to be. Our particular job took 3 days and they cleaned up at the end of each day. If we ever need to hire a roofing company again we would definitely call them again."